Rock 105.3’s live broadcast from Camp Pendleton. 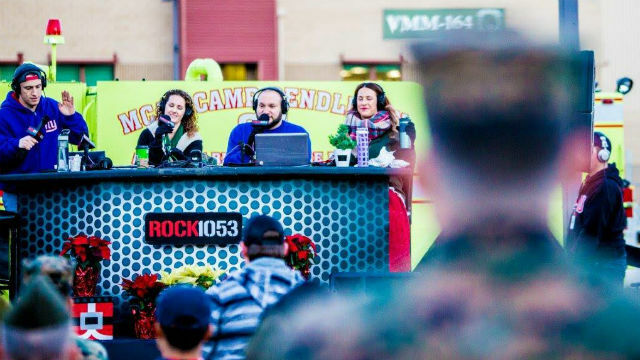 The iHeart Media San Diego KIOZ-FM Rock 105.3 morning show, called “The Show,” recently hosted a live broadcast for Marines stationed at Camp Pendleton. Near a helicopter hanger, on-air DJs Eddie, Sky, Ashlee and Thor (they use only their first names) were joined during the Dec. 20 broadcast by comedians Jimmy Shubert and Taylor Williamson, along with UFC fighters Dominick Cruz, Jeremy Stevens and Cat Zingano. Also performing was local band P.O.D. Station sponsors provided items that became prizes presented to Marines. The live broadcast marked the station’s fourth year of its “Military Christmas Bonus” promotion that included prize packages presented on five weekdays to military personnel. Listeners were invited to submit names of military family members and friends in 50 words or less. 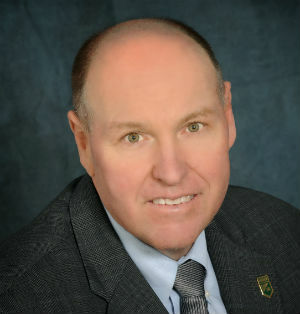 This year’s prize packages were valued at $2,600 apiece, said Bill Lennert, iHeart senior director, promotions and events. Alternative Strategies of San Diego has added three new clients, according to agency owner William Lopez. They include Grater Grilled Cheese in Del Mar, Wood Ranch BBQ and Grill at Hazard Center in Mission Valley and La Piñata in Old Town. Now in its 16th year in business, Alternative Strategies, with offices in North Park, specializes in public relations and social media. Since 2000, the agency has grown to represent more than 40 clients in the restaurant and hospitality industries. Crowe PR, a San Diego-based public relations firm, has relocated from the Diamond View Tower on 10th Avenue near Petco Park to the TR Office Building, 406 Ninth Avenue in Downtown San Diego’s East Village area. The firm’s staff refers to its offices as “The Nest,” according to Anna Crowe, founder and CEO. The new headquarters offers an open-floor layout for a collaborative and creative work environment, according to Crowe. “Given our creative and results-driven approach, I think it’s essential to be in a space that’s open, collaborative and visually-stimulating,” she said. “Not only will this new location set us up for continued growth, but I’m also thrilled to be in one of San Diego’s best and most dynamic downtown neighborhoods and in close proximity to many of our clients.” The PR firm was founded in 2015. 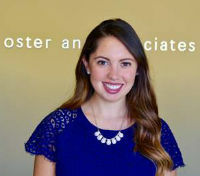 Branding agency Oster and Associates has added Claire Mangine as a public relations and account management specialist. She previously worked as a social media content manager and assistant account director on health care clients at The Marketing Collaborative in Rochester N.Y.
A native of Syracuse, NY, Mangine graduated from St. Bonaventure University with a bachelor’s degree in journalism and mass communications and a minor in marketing. She is currently pursuing a master’s degree in integrated marketing communications from West Virginia University. Founded in 1986, Oster and Associates has clients in such industries as agriculture, engineering, hospitality, landscaping, nonprofit, planning, produce, sports and travel.